The flag’s design embodies the country’s nickname, Land of the Rising Sun. The basic design is called Nisshoki officially, which translates to “sun-mark flag.” Many Japanese people also call the flag Hi no maru, or “circle of the sun.” When looking at the design, it is easy to see how this design represents the sun. 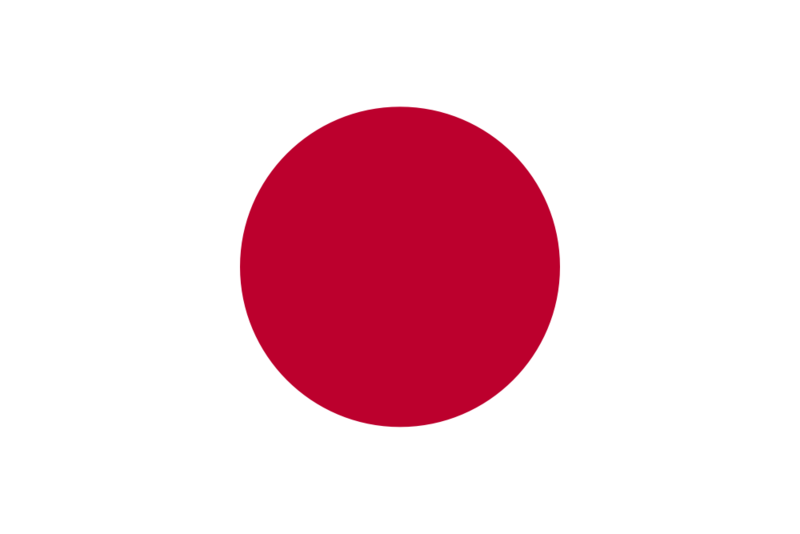 The Japanese flag has a very simple design with lots of meaning behind it. The flag features a white field. A large red disc is centered on the white field, representing the sun. This is important to the Japanese because of the sun’s role in mythology and religion. Japan’s earliest recorded flags date back to the 16th century. There was not an official national flag, and most of these flags at the time were used during battles to identify soldiers. It was during the mid-19th century when the Hinomaru flag was used on ships. It was later designated as the national flag in 1870 and remained the official flag for 15 years. When laws were abolished in 1885 that no longer designated the Hinomaru as the national flag, it remained the de facto flag because no other laws were put in place to replace it. Through the 20th century, the Hinomaru began being used again for celebration in parades and following war victories. After World War II, permission was needed in order to fly the flag. These restrictions were finally lifted in 1947, allowing the flag to be flown on official government property. In 1948, flags were allowed to be used during national holidays and the following year, all regulations were relaxed. The flag was made official in 1999 after many years of moral debates over the usage of the flag. Today, there have been lawsuits and protests over the flag, and it is not frequently displayed due its association with ultranationalism. Many people in Japan see the flag as a symbol of imperialism and aggression. For this reason, the flag is not flown often in public. It is tradition to sign the flag and present it to someone as a good luck charm. Prior to World War II, it was required for all houses to display the flag on national holidays. If more than one foreign flag is displayed along with Japan’s flag, they are arranged in alphabetical order.